Let’s have a look at the brewing device that is arguably one of the most popular and the most used across family households. Most of us have it at home, or someone we know does. It is not an unknown brewing method to us, but do we know who invented it? And why is it called French Press? (And that is not its only name). From its origins to the modern ways of french-pressing, you will find all about this immersion method here. It is called the French Press, so it must be French, right? 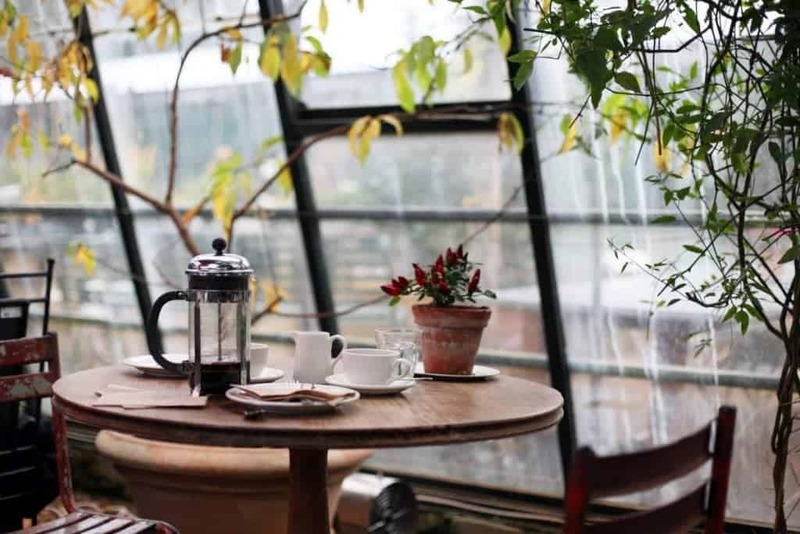 Surprisingly, both French and Italian have argued about the origins of the coffee brewer which uses a metal or a cloth screen connected to a rod that presses down coffee grounds infusing in a pot of hot water. 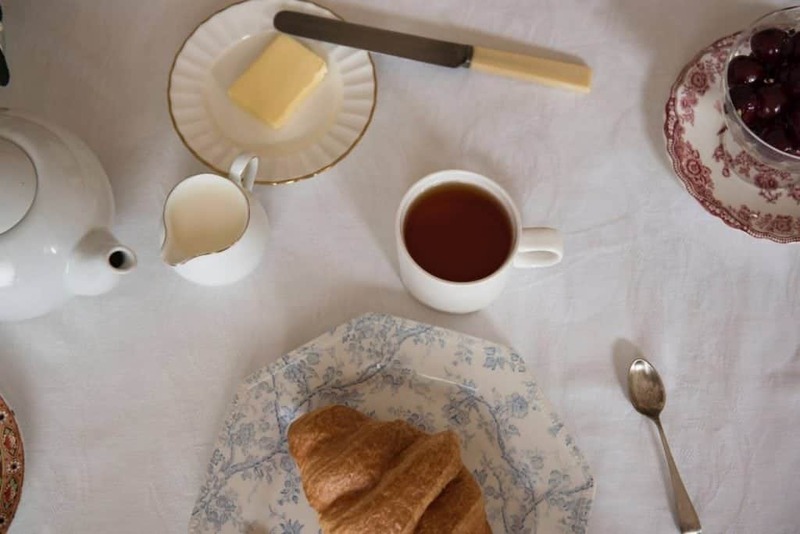 According to a legend dating back to 1850s, it was a Frenchmen on his daily walk, preparing a pot of coffee on an open fire, who first brewed his coffee this way, although it was rather an accident. It went a bit like this: A Frenchmen was boiling his water when he realised he had forgotten to put the coffee in. Once added, the coffee grounds rose to the surface of the boiling pot. He wanted to save the only portion of coffee he had with him and bought a piece of metal screen from a passing-by Italian merchant. Fitting the screen over the boiling pot, he used a stick to press the screen down, together with the coffee grounds. And how was the coffee? He expected it to be terrible, but the result turned out to be the best coffee both men had ever tasted. 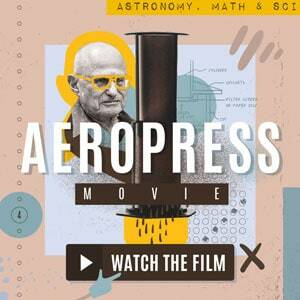 An accident led to a discovery of a new way of brewing coffee. We chose to call the brewer by its Frenchified version despite the fact the first patent of the coffee brewer as we know it today came from Italians. 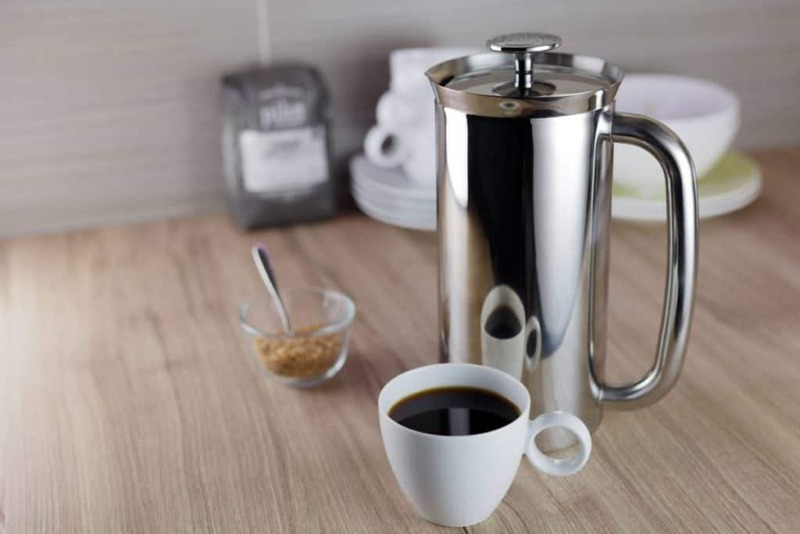 French Press is also called la (a) cafetière, a coffee plunger, or a coffee press in different parts of the world. Today, it is celebrated for the ease of use, the rich brews it provides, and a certain flair that the brewer has kept throughout the times of its design development. The first documented origins of the “most underrated method of brewing coffee”, as James Hoffmann called it in his book ‘The World Atlas of Coffee’, date back to 1852. It was Mayer and Delforge, two Frenchmen, who had their innovation—a simpler version of the later designs—patented then. A brief look into the patents registered in the United States will tell us that many enhancements to the original brewing device had a patent applied for. 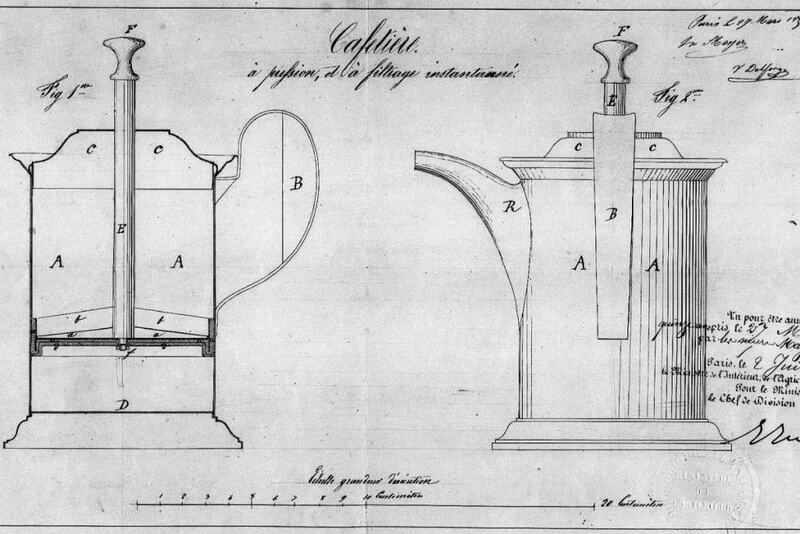 All were of a similar principle, making some additional changes to the basic design of the French Press. But the next significant redesign was achieved by Faliero Bondanini. 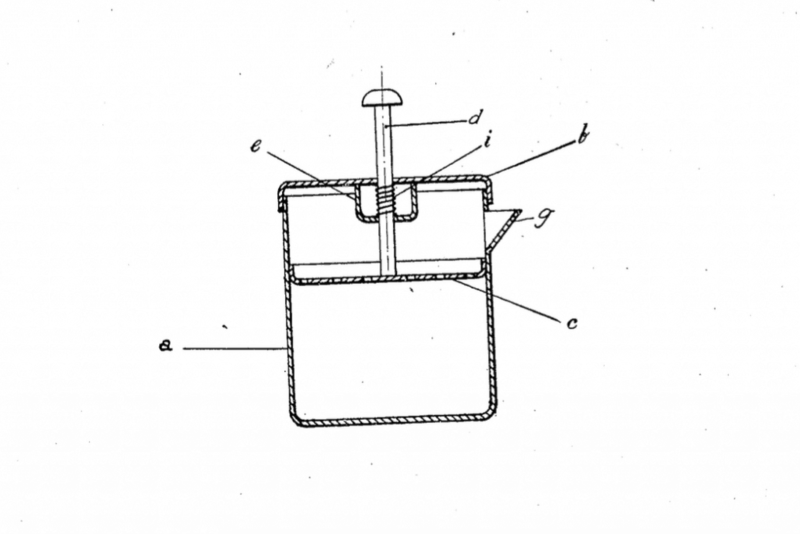 The Italian designer had his version patented in 1958. Classified under “Apparatus in which ground coffee or tea-leaves are immersed in the hot liquid in the beverage container having immersible, e.g. rotatable, filters”, the brewer that first gained popularity on the European market was produced and distributed by a French company Martin S.A. under the name Chambord. Chambord is a classic. Many will recognise its design features—a glass vessel, a steel lid, a round handle of the rod—which has been preserved throughout times. The company Martin S.A. produced it until 1991 when the company was bought by the Danish Bodum Holding. Bodum has since 1991 kept the Chambord design alive in its range of household products, making it one of the most recognised home-brewing coffee devices. There was another, almost twin, design at the same time as the Chambord became popular, back in the 1960s. Martin S.A.’s investor Louis James de Viel Castel had another company based in Britain, called Household Articles Ltd., which produced a coffee maker under the name La Cafetière. In 1991, when Martin S.A. was bought by Bodum, de Viel Castel lost his right to distribute his product in France under any names. 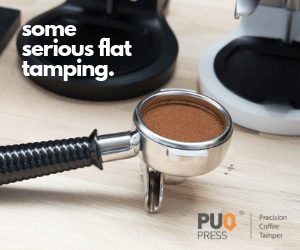 We can attribute the wide range of names of the brewing device to the many European countries where the French Press, la cafetière, or the coffee plunger found its permanent place on the kitchen shelves throughout times. Is the French Press a speciality coffee brewer? Recognised on the family breakfast table, does a French Press belong on the shelves of a speciality coffee aficionado? Imagine the French Press as an entry level to coffee brewing. 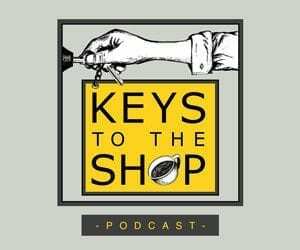 It is easy to use and known by people who might not even be into speciality coffee. 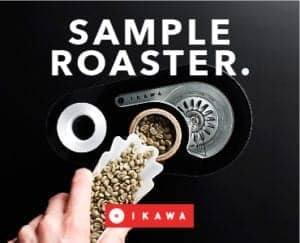 Yet, it can produce tasty brews if certain steps are taken care of, such as the freshness of the beans and their grinding just before brewing, or the temperature of the water. 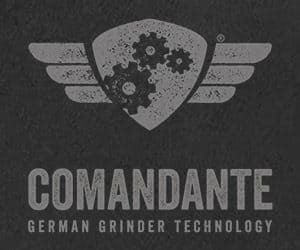 The legitimacy of a French Press as a speciality coffee brewer is validated also by the aforementioned James Hoffmann, whose Youtube video tutorial for ‘The Ultimate French Press Technique’ is the most viewed one on his channel. Another coffee heroe we could quote is George Howell. In his beginnings with his coffee company Coffee Connections, they used French Press to serve all of their available origins. At times, there would be twelve different coffees on the filter coffee menu, all brewed with a French Press. 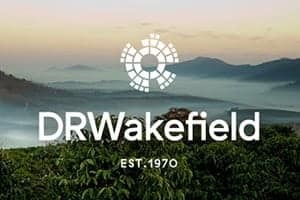 “I don't know of any other coffee houses that were doing that at the time, there may have been,” said George Howell in his Coffee Geek interview. The French Press has certainly a great potential to brew a delicious cup. There are numerous manufacturers of the device, such as Bodum, but the one that allows the user a more refined brew is the Espro Press. 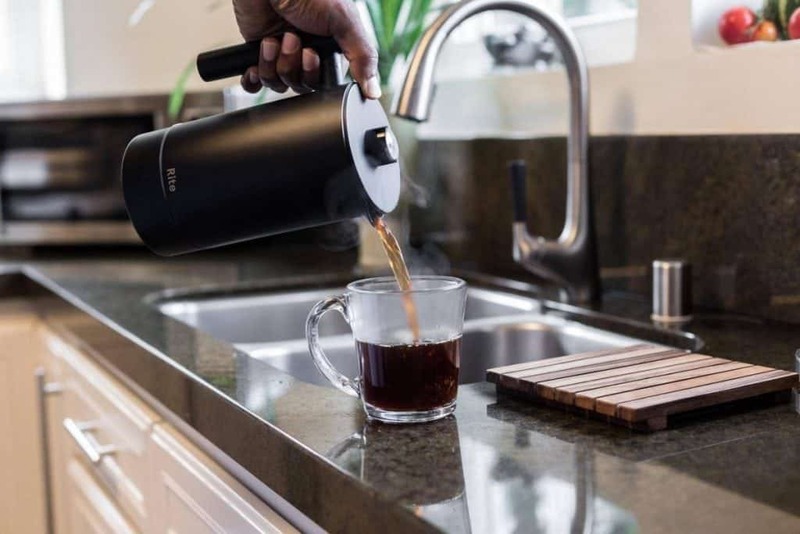 Espro, a company based in Vancouver, Canada, brought a reinvented version of the French Press. They installed a fine double filter and made the pot out of stainless steel. Thanks to that, the resulting beverage is without any sediment, hence providing a clean, yet full-bodied, rich cup of coffee. The Espro Press is quoted by many coffee professionals as THE French Press to use if you want to achieve a clean brew with this method, and it is, once again, the French Press of choice for Mr Hoffmann. You will find it in his aforementioned book. There are nowadays other companies that work with the original designs to bring a new product to the market though. 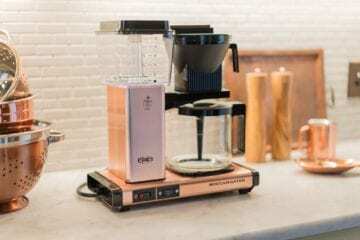 One to mention is Rite Coffee Press by Rite Team of California, the USA. They call their invention the ‘No Mess’ French Press. The designers thought of the one thing that makes the preparation with a French Press a pain—the cleaning. Nobody likes to clean the French Press after it’s been used—a mash full of coffee grounds and the bottom of the vessel full of the coffee ‘mud’. 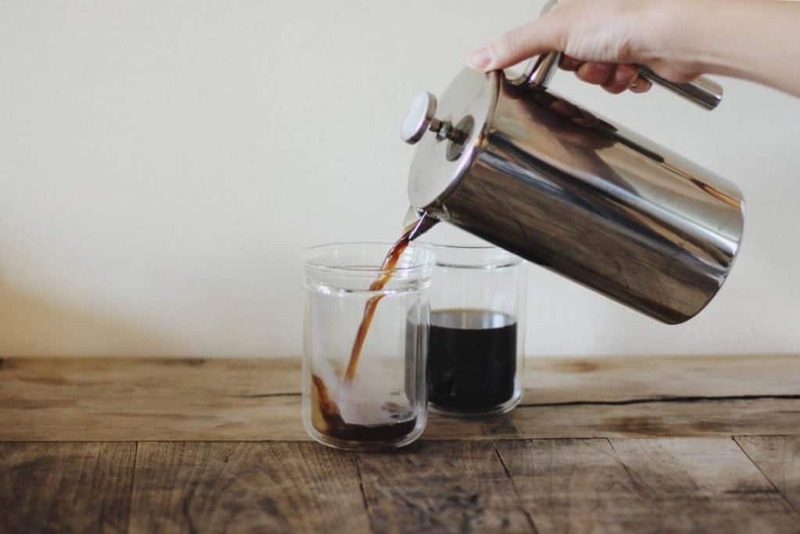 To clean the regular French Press, you need to rinse the vessel with water and chuck it in the toilet or sieve it with an extra sieve, in order not to clock the sink. And that is why Rite Press is interesting to us. 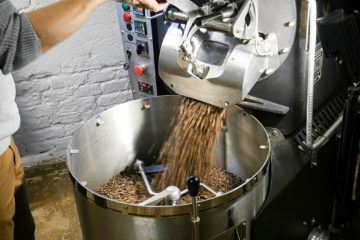 The coffee is pressed into a separate chamber when you plunge it, the coffee grounds being pushed into the bottom chamber of the vessel. This part is ‘screwed to’ the vessel so that you can remove it with the coffee grounds in it, empty them into a bin, rinse, and screw it back on. Quite clever, isn’t it? 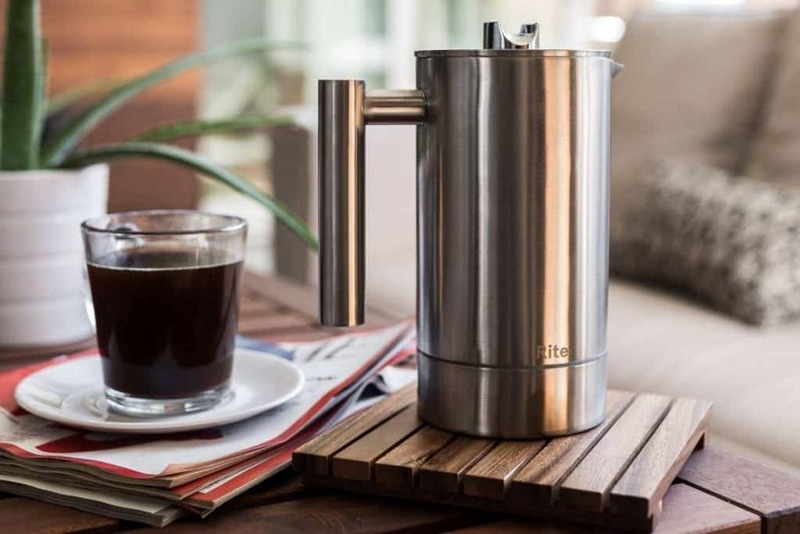 Rite Team’s Kickstarter campaign goal was reached over 50 times more than required, and so it is needless to say: French Press remains a very popular method that people would like to use regularly. Without the mess, if possible. We do and we love having a big carafe of coffee ready on our breakfast table, brewed at a minutes notice, for several people to share. 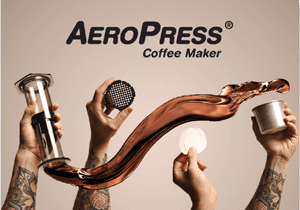 There is no other manual method of brewing that allows you to get caffeinated so easily. Give it a try and tell us about your favourite French Press brand. We would love to hear about it!